Every weekend I prep meals for the week ahead. I feel like when you do meal planning, you’re less likely to slip back into bad habits. Sure, it takes oodles and oodles of time to prep a week’s worth of meals, but it’s well worth it in the end. 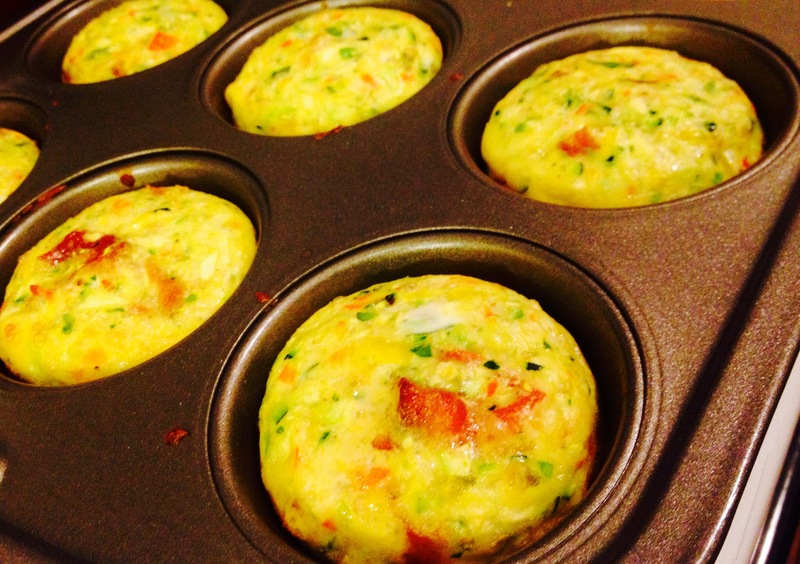 I make these savory egg cuppies for my workday breakfasts. They’re so easy to make in advance, so when you wake up you just pop two in the microwave for 1 minute and then go. I’ll put them in a ziploc bag and eat them on my way to work if I have to work in the mornings. 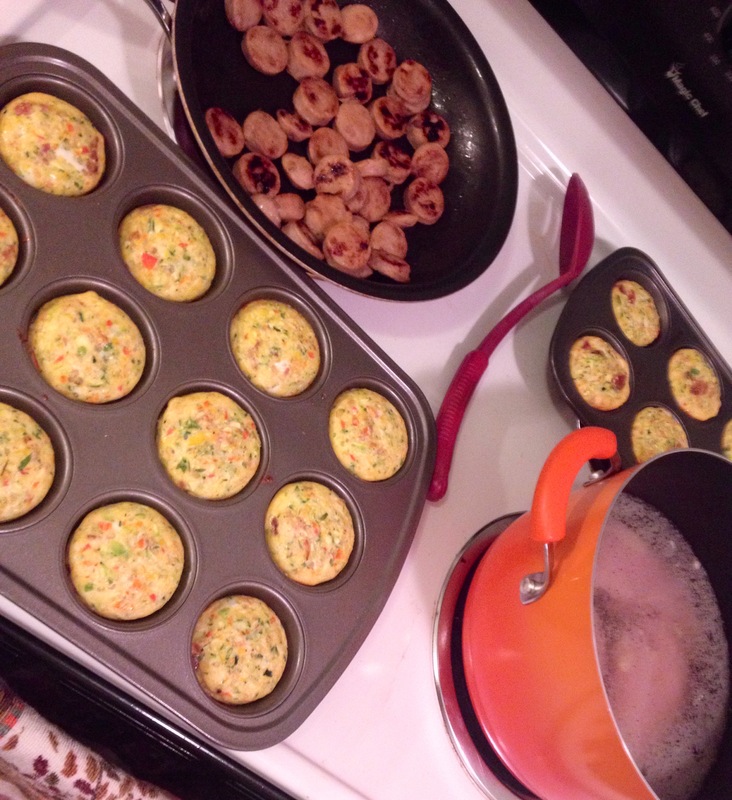 You can essentially put any breakfast meat & vegetable combo inside of them; I’ve tried it with sausage and yellow squash, ham and spinach…but these bacon ones with bell peppers and zucchini are my favorite combination. It gives you a ton of good veggie nutrients all while being a super protein-packed breakfast to energize your mornings. 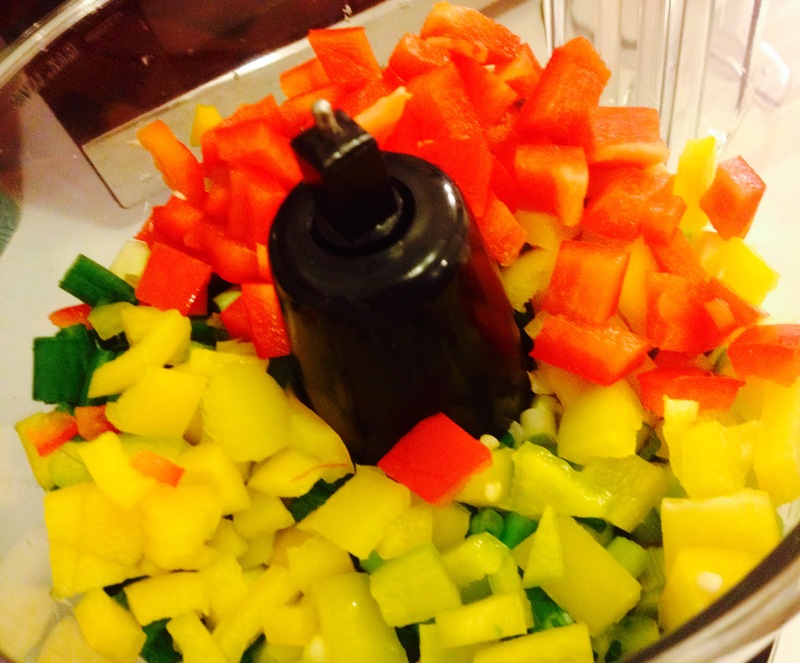 It also helps to have a food processor. I cannot emphasize enough how happy I am now that I have a food processor. I hardly ever hand-chop anything anymore! 1. Preheat oven to 350 degrees. 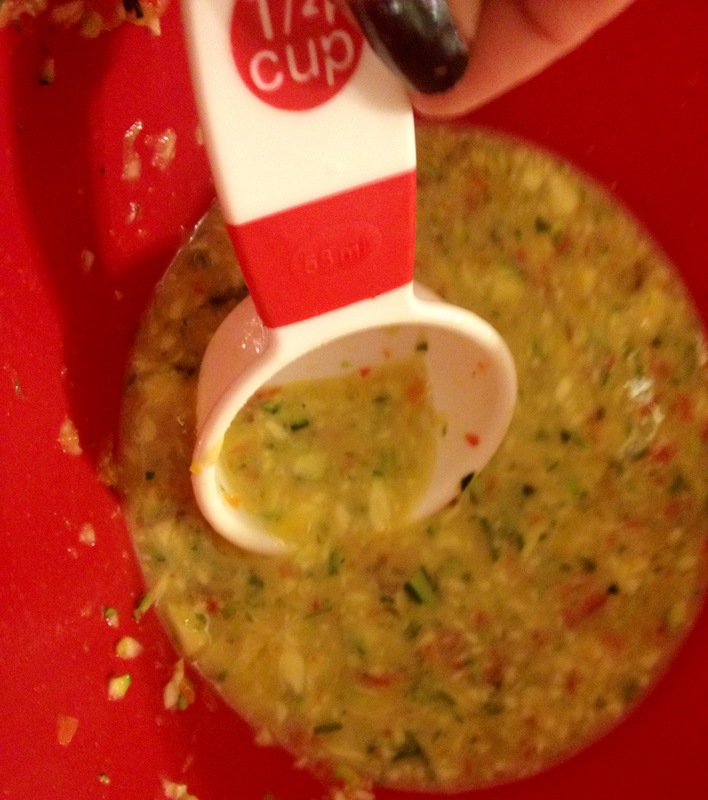 In food processor, finely chop bell peppers, green onions & zucchini. Meanwhile, in large bowl, whisk eggs with salt and pepper until well blended. Add chopped veggies & bacon. 2. Spray large muffin pan with cooking spray. 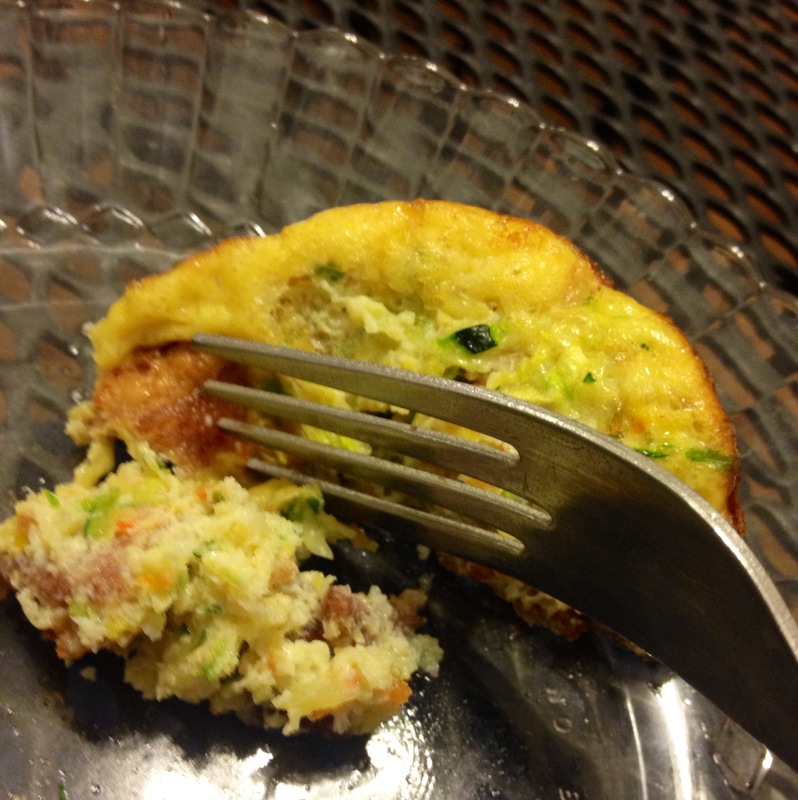 Using a 1/4 cup measuring cup, scoop egg mixture out of bowl and into muffin pan. 3. 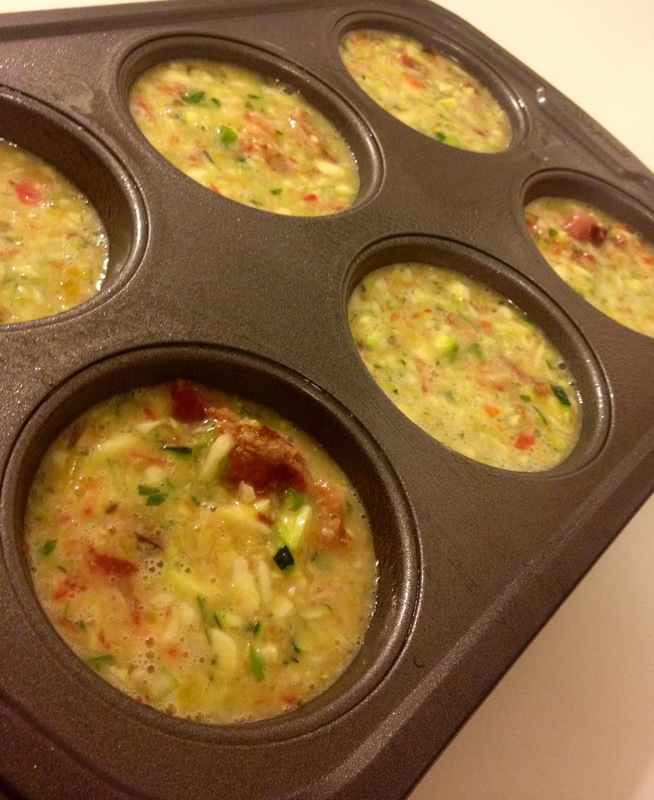 Place muffin pan into oven and cook for 20 minutes or until set. Makes around 20 cupcakes. This recipe was adapted from Sarah Fragoso’s paleo cookbook “Everyday Paleo”. Check out more of her amazing recipes on http://www.everydaypaleo.com.